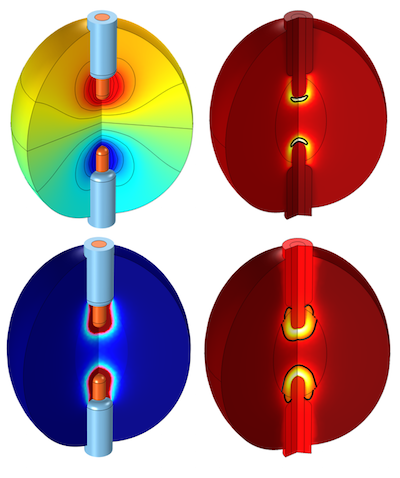 Whenever you are modeling coils with the AC/DC Module in COMSOL Multiphysics, you need to consider what type of boundary conditions to use to truncate your modeling domain. In this blog post, we will introduce the different boundary conditions that you can use and how to choose between them. Thermal curing is the process of temperature-induced chemical change in a material, such as the polymerization of a thermoset resin. This process is relevant, for example, when a precursor resin is heated and hardens during the manufacturing of composites. You can often assume that the material does not flow during curing, which simplifies the analysis. 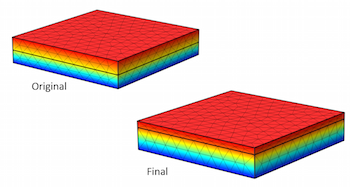 Thermal curing is very easy to model within the core functionality of COMSOL Multiphysics, as we will show in this blog post. 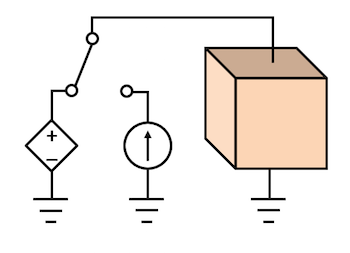 One of the most common uses of the AC/DC Module is for modeling electromagnetic coils and the interactions with their surroundings. 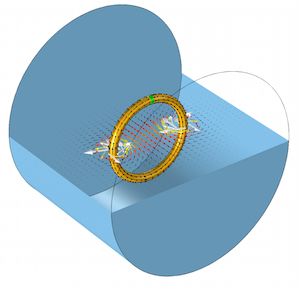 Today, we will look into one of the key concepts to keep in mind when modeling coils: closing the current loop. 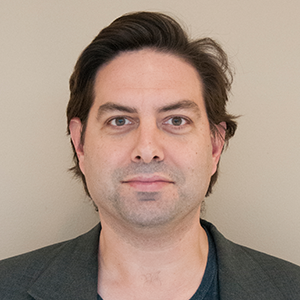 If your work involves modeling coils, you will need a complete understanding of this topic. Radiofrequency tissue ablation is a medical procedure that uses targeted heat for a variety of medical purposes, including killing cancerous cells, shrinking collagen, and alleviating pain. The process involves applying mid- to high-frequency alternating current directly to the tissue, raising the temperature in a focused region near the applicator. We can simulate this process with COMSOL Multiphysics and the AC/DC and Heat Transfer modules. 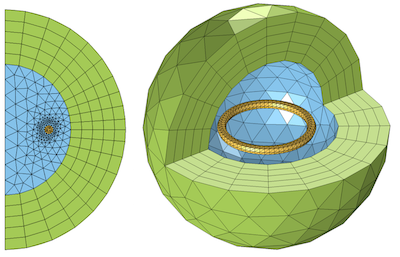 In today’s blog post, we will go over some key concepts for modeling this procedure. While designing a structure, have you ever been unsure of how to achieve the best shape? If so, then you will want to add a useful technique called shape optimization to your COMSOL Multiphysics modeling skill set. 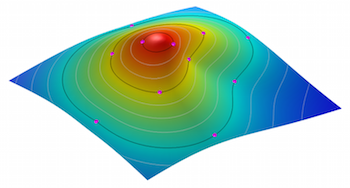 Today, we will discuss the concept of shape optimization and demonstrate its use through a classical problem. Have you ever wanted to rapidly set up a COMSOL Multiphysics model with hundreds of different parts? If so, you might not want to use a graphical user interface where you manually enter dimensions and properties for each part. Generating a text file that contains all of this information offers a much faster route. 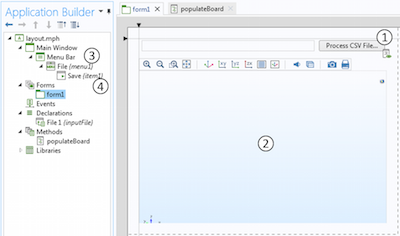 Today, we will look at how you can use the Application Builder to quickly convert a text input file into a COMSOL model. Whenever you are building a finite element model in COMSOL Multiphysics, you should be aware of the element order that is being used. This is particularly important for multiphysics models as there are some distinct benefits to using different element orders for different physics. Today, we will review the key concepts behind element order and discuss how it applies to some common multiphysics models. It has been a remarkably warm winter in Boston, but we finally got our first snowfall. As I was staring out the window earlier, I started thinking about snowflakes and how their formation cannot be easily described mathematically. However, there is one special kind of snowflake that can be simply described, known as the Koch snowflake. 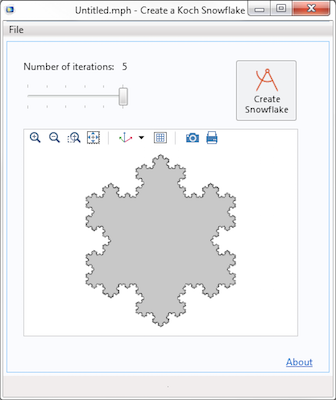 Today, we will look at how this shape can be built with the Application Builder in COMSOL Multiphysics. In this blog post, we will introduce the concept of shape optimization for adjusting part dimensions by using analytic sensitivity methods. If you have a single objective function that you want to improve, a set of geometric parameters that you want to change, as well as a set of constraints, then you can use the functionality of the Optimization Module and the Deformed Geometry interface in COMSOL Multiphysics to find the optimal structure without any remeshing. Let’s find out how!